We are one of those early birds at IT Show 2012 arriving at 12.15pm today, the crowd was not too bad then as we were quite early. My buddy took a quick photo on the Creative Booth at IT Show 2012 using his iPhone. 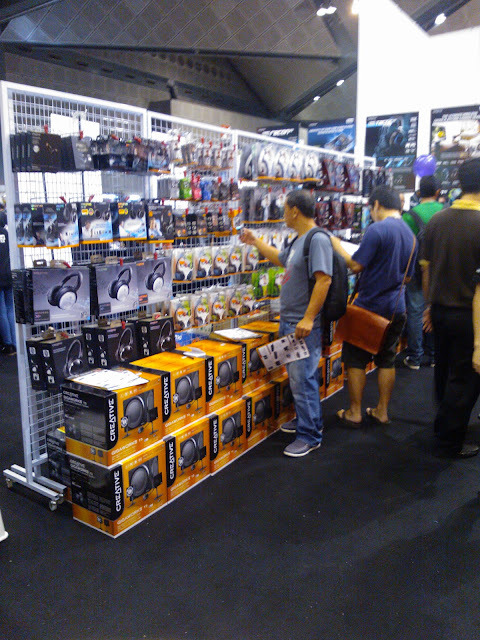 Its a nice little booth. We even got our hands on the Creative's IT Show 2012 brochure. 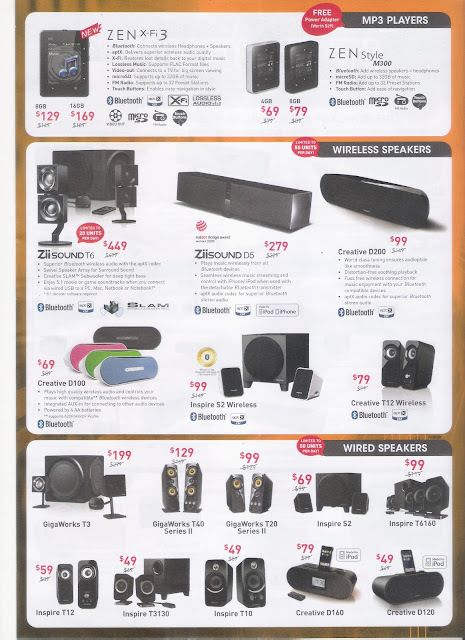 Here are some of deals that are quite attractive. 1. 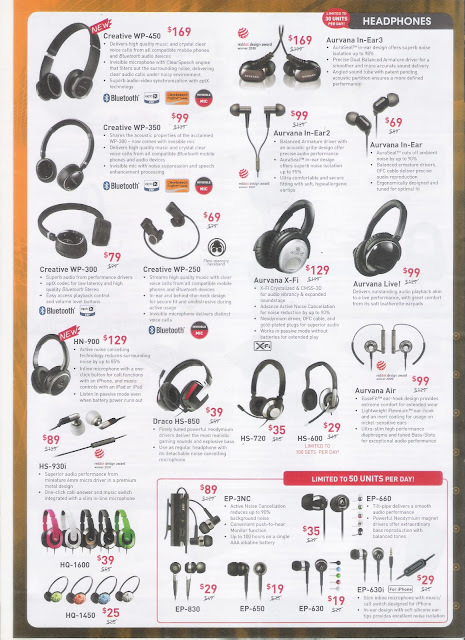 Free EP630 earphone (non-retail pack) for every $100 spent and above. 2. 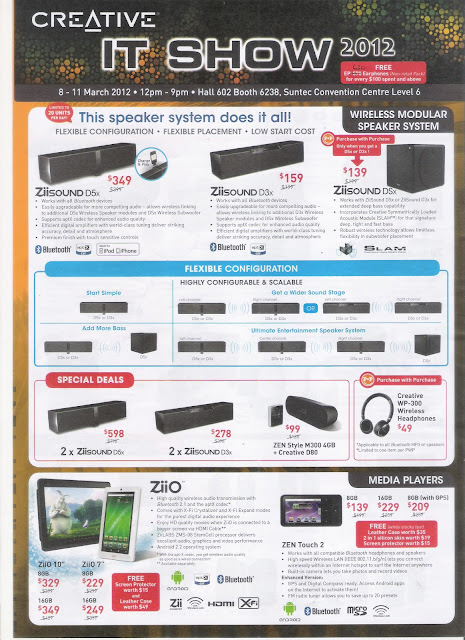 Buy a ZiiO android tablet and get free screen protector worth $15 and leather case worth $49. 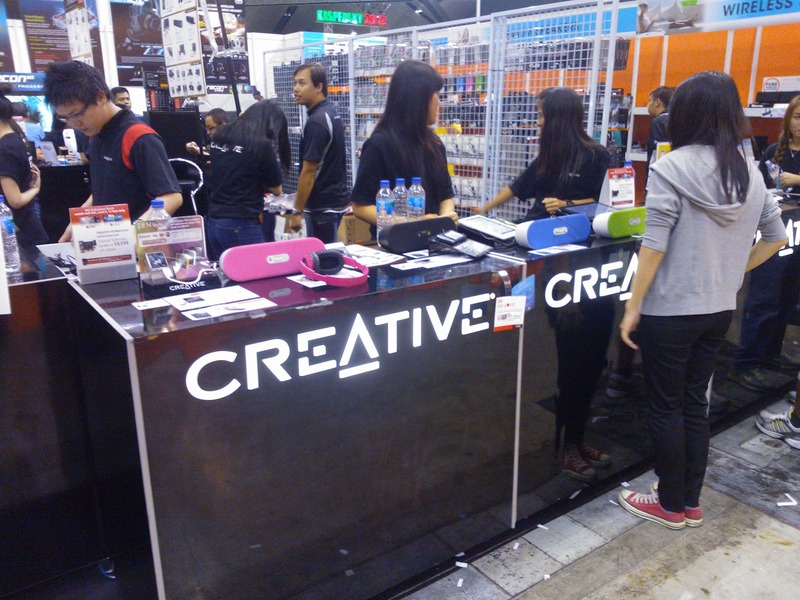 Don't forget to visit Creative @ IT Show 2012 on 08 to 11 March 2012 from 12pm to 9am, Hall 602 Booth 6238, Suntec Convention Centre Level 6.
audio products buy i will. no ziio. yes 2560x1600 hanzpad. 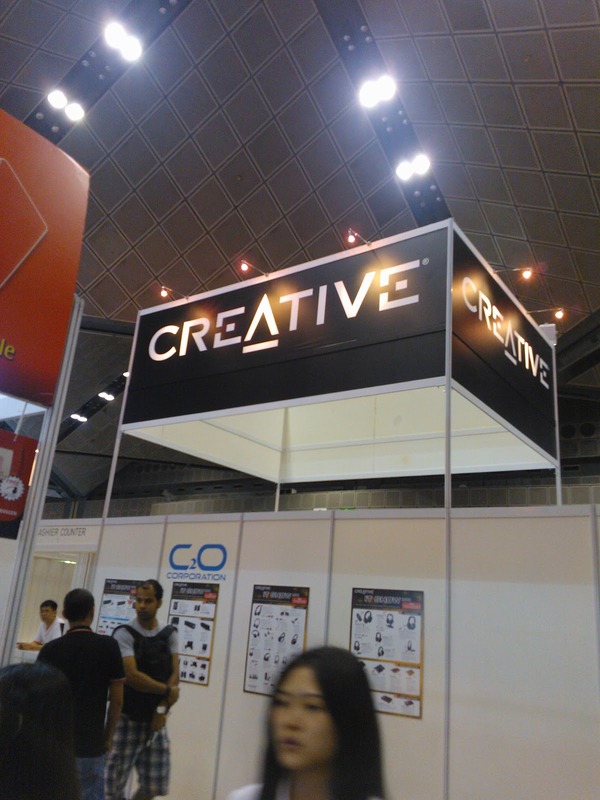 uploaded more photos on Creative Booth @ IT Show 2012 - contributed by Pooi DouDou Pa Pa! Why moe dun work with them on shenbi and hanzpad? They are forced to migrate to china. Pap's fault? creative knowledge is only an associate of creative. does it mean china govt has a share? china always wanted its own platform own OS. I wonder whether all the schools in China are wired up for Internet access. If not, they need 3G/4G internet connectivity. If it is price expensive, it also won't be able to gain a foothold. 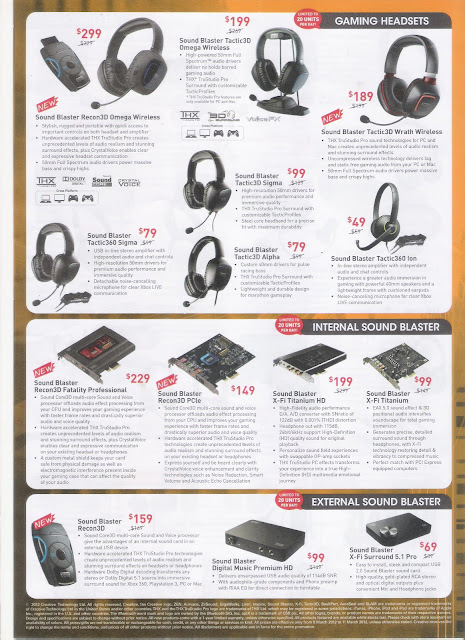 Hanzpad doesn't have the prowess of iPad apps which makes them very popular. It needs to do more software development works and have an App store to tap on the Chinese software markets. Anyway, if they don't do, the rest of the Chinese companies would punish them. I won't be surprise it's another failed venture by Creative. Software developments and 3G/4G are important for them to succeed. Lacking them, it won't gain popularity. Wired up on the way as they boost edu spending. Hanzpad no no 3G yet. No no see the need as sch will have wifi. 3G too expensive for ordinary kids. Hanzpad no no creative venture. Alliance and many Chinese firms interest. Plasma descendant it looks like. Apps store right direction. No no fail they are early birds and that is what china govt pushing. Facebook early bird. Google early bird too. then it's a wrong approach. everything goes through the web nowadays. If it behaves like a normal book, content updates would be difficult and cumbersome. There's no difference in old school teaching which sometimes make the learning dull and uninteresting. If it can have 3G/4G connectivity, the Telcos will be able to bundle it and make it more attractive to consumers. there's some upfront payment but it won't be sky high prices. To most consumers, it's affordable. Most purchases are done through Telcos from what i see. Seldom a tablet in the market will go without wireless functionality. Those top selling tablets are 3G/4G models too. Yah. They better do that to win back their supporters. Even Microsoft also can't ignore the tablets market now. Apple has done well but it doesn't mean no one else can do it better. It has some limitations which restricts better flow of services to other parts of the world like movies and music. Samsung has done well too but it doesn't mean no one else can do it better. It has some limitations such as video acceleration, audio enhancement, environmental audio and support for compatible video and audio formats. If they can create a ziipad for this. It would be a better bet than hanzpad.